eInstruction has debuted a new document camera that lets users connect via Android and iOS apps to turn their phones and tablets into interactive whiteboards. Also at the ISTE 2013 conference, taking place this week in San Antonio, TX, the company is showing off the latest version of Insight 360. The ShareView 2 will ship in July. 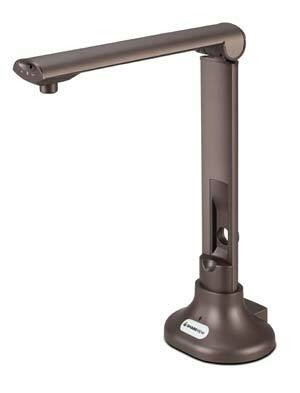 The ShareView 2 document camera is a USB-based, 2 megapixel device featuring a 12x digital zoom, built-in lighting, and WorkSpace software. WorkSpace includes a repository of more than 4,000 learning objects, such as interactive lessons, animations, and other types of media. Using the free WorkSpace Connect in conjunction with the Workspace software for Windows, OS X, and Linux, users can connect their smart phones and tablets to the ShareView 2 for annotations and various other whiteboard-like functions. ShareView 2 is expected to ship in July and will run $139 for education customers. Insight 360 is a classroom instruction platform designed to integrate a range of classroom technologies, including clickers, whiteboards, tablets, and smart phones. It comprises desktop software (Windows and OS X), mobile apps for teachers and students, and Web-based tools. It's available in premium and standard editions; the premium edition includes support for the student app for iPad, which offers a greater range of question types. The latest release includes expanded reporting capabilities for teachers, plus integration with ATI, Eduphoria!, and Illuminate Education assessments. eInstruction is exhibiting in booth 10188 at the ISTE conference through June 26. Additional details can be found at eInstruction's site. A free trial version of Insight 360 is available as well.